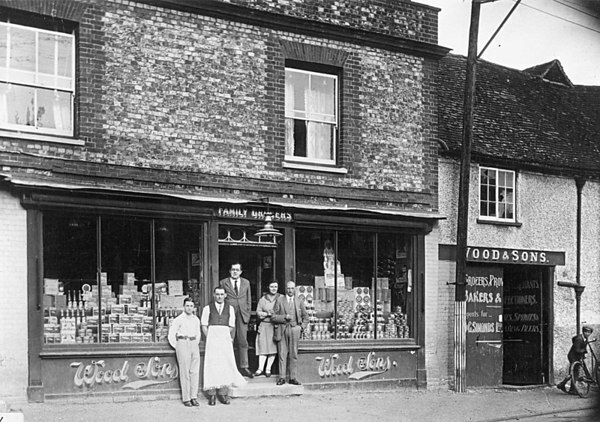 - Woods the Grocer's in Castle Square- (BS0351) Of the 5 people in the shop door, as you look at the picture, old Mr Wood, and behind him his friend from Chalgrove Alice Fidget. Young Mr John Wood stands in the doorway. Man with apron is Sammy Lawrence, who apparently sang so loud off-key that the Vicar invited him not to come to Church! The boy on the left is thought to be Tommy Selwood. 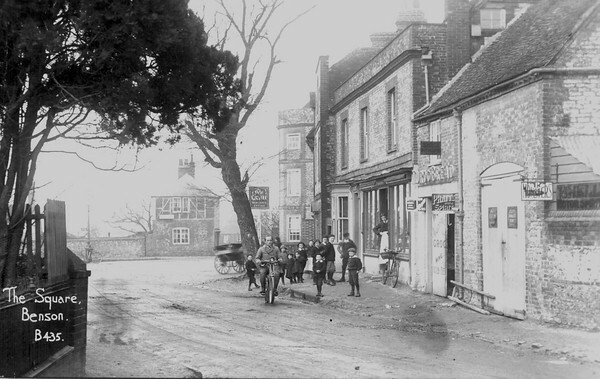 Boy on extreme right with bike is one of the Harbor boys who lived in a house opposite. 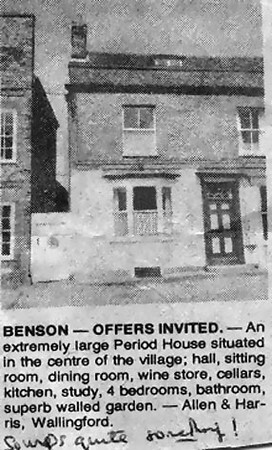 - House advert - (BS0553) Carole Johnson writes, in 2010, Many thanks for the photo/advert for our house (Elm House, 19 Castle Square). I know pretty well when it appeared - it would have been June/July 1977. We have never seen the actual advert. for the house because we heard about its sale via a "back door", but Allen & Harris were intending to put it up for auction, because, being a rather unusual property, they couldn't work out its value. We put in an offer before it went to auction, and finally bought it in November 1977. 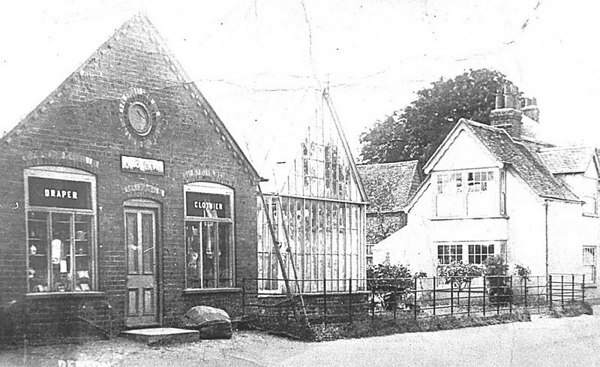 The "wine cellar" mentioned in the advert. wasn't actually in the cellars at all - it was a small, ground floor room with bars on the only window, which was originally used for hanging the flitches of bacon when the Woods family owned the whole property. We converted the room into a downstairs cloakroom, and keep our wine in the cellar! !